The CD booklet suggests that the composers were required to produce a score suggestive of the World War IIbased film scores, the sort of music that Eric Coates wrote for The dam Busters and Ron Goodwin composed for 633 Squadron. They certainly obliged with music that has heroic sweep and movement for this sci-fi adventure which to judge by the booklet illustrations, swops battling aeroplanes for duelling spaceships. 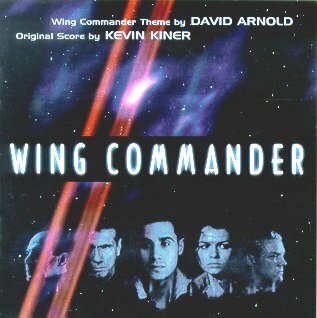 The theme from David Arnold (Stargate and Independence Day) is powerful and stirring enough with heroically insistent snare drums but its melody that is not strong enough to linger in the memory and certainly not in the same league as the Coates and Goodwin works already quoted. I wonder why Arnold did not complete the score? There is some interest in the more quietly reflective cues like "Pod Scene" and the hymn-like choral and string writing for "Pilgrims". The score, for the most part, however, is a sort of collection of familiar snippets of themes, effects and colour so often associated with the heroic, romantic, and noble etc elements of this sort of action screenplay  there is even some hard rock material used in the worst cue, "Hot Dogs". A large orchestra with a little electronic stiffening is used. It is all assembled professionally with good orchestrations and rich harmonisation in stunning sound. Sci-fi fans will be thrilled with it but they will need indulgent neighbours to tolerate the none-stop battle batterings of the last few tracks. What is it about Celtic or pseudo-Celtic music that has found an echo in the 1990s? Mysticism and passion melting in and out of the commonplace is perhaps the answer. These qualities were not to the fore during the 70s and 80s. I have not seen the film but judging by the sketchy blurb and pictures which decorate the album insert the film centres around a celebration of Irish weirdness, Guinness, nostalgia and sentimentality sloshing together in a tearful poteen. Sounds good to me! Shaun Davey has enjoyed some success off the back of the River Dance/Titanic trend. His album (really a song-cycle though darent call it that for fear off putting off the punters) Granuaile is one of the enduring classic sleepers of the 1970s. Symphonic, poetic, popular, blazingly inspired, Granuaile, a song cycle for Rita Connollys dreamily perfect and raspingly memorable voice is unmatched in all the hoo-hah around the Celtic commercial revival. It stands head and shoulders above the rest. So, after this prelude, what about this misty slice of music? Well, it is good, but not in the Granuaile league. This is a real Celtic mosaic. There is nothing here to really take issue with except the sad aping of American accents and styles in The Waterboys Fishermans Blues. There is enough in Irish music on which to draw and develop without this cap-in-hand commercial tribute to the U.S. Deep South. As for the rest we get a wild amalgam of tom-toms, bongos, the occasional Quadrophenia recollection (try Let the Draw Begin if you dont believe me), bubblingly extrovert pipes, wild fiddle (played by the effervescently stylish Nollaig Casey - sigh! ), heavenly choirs, statutory (and irresistible) uillean pipes (the one that make the score for Titanic memorable) and wild wild reels. Rita Connolly blessèd voice is none too prominent which is always a disappointment. Now has anyone ever thought of an album coupling Rita Connollys singing with that of the other Celtic angel, Karen Matheson (of Capercaillie). There is a big choral conclusion and intermittently engaging music along the way. However nothing remarkable (at least nothing to match Granuaile) taking the music by itself. I am sure that the music will meld wonderfully with the film. Out of context it does not hold the attention. However watch out for Shaun Connolly. He is an enduringly strong composer with a fine handle on poetry. Perhaps one of these days I will get to hear Granuaile live. John Williams: Sugarland Express; Jaws; Close Encounters of the Third Kind; 1941 - March; Raiders of the Lost Ark; E.T. ; Indiana Jones and the Temple of Doom; Empire of the Sun; Indiana Jones and the Last Crusade; Always; Hook; Jurassic Park; Schindlers List; The Lost World; Amistad; Saving Private Ryan. The dedicated film music fans regularly visiting this site will no doubt have most, if not all of these scores already in their collection so the performances have got to be something special to tempt further investment. The answer, sadly, is that they are not. , Empire of the Sun (all without charm and too heavy-handed) and, particularly, the "Hymn to the Fallen" from Saving Private Ryan that failed to move me as John Williamss original OST recording did I return to a well-worn theme of mine, you cannot improve on the originals especially when the originals are created by such masters as John Williams. Buyers should also be aware that some of the tracks have been previously issued. Disappointing. Music from: 2001: A Space Odyssey; Star Wars; The Empire Strikes Back; Return of the Jedi; Star Trek; Star Trek: The Next Generation; Lost in Space (1965 and 1967 TV themes and film); Battleship Galactica; Space:1999; Buck Rogers in the 25th Century; Babylon 5; The Black Hole; Alien; The Abyss; Voyage to the Bottom of the Sea; Journey to the Centre of the Earth; Land of the Giants; Planet of the Apes; Time Tunnel; Fireball XL-5; Dr. Who; Stargate; Total Recall; Blade Runner; Tron; Strange Days; VR-5; Space Above and Beyond; Inside Space; Welcome to Paradox; Mission Genesis. Music from: War of the Worlds (excerpts from: Orson Welles' historic radio broadcast); The day the Earth Stood Still; It Came from Outer Space; The Invaders; V: The Series; Mars Attacks; Independence Day; Close Encounters of the Third Kind; E.T. The Extra-Terrestrial; Starman; Alien Nation (TV and film); The Beast from 20,000 Fathoms; Predator; Jaws; The creature from the Black Lagoon; Them! ; Tarantula; Jurassic Park; Gremlins; UFO; Killer Clowns From Outer Space; Attack of the Killer Tomatoes! Music from: Astro Boy; Gigantor; Speed Racer; Thunderbirds; Captain Scarlet and the Mysterons; Captain Video and his Video Rangers; Tom Corbett, Space Cadet; Space Patrol; Underdog; Atom Ant; Batman (TV and film); Batman Returns; Batman: The Animated Series; Superman; Lois and Clark - The New Adventures of Superman; The Green Hornet; The Amazing Spider-man; Spider-Woman; Wonder Woman; The Flash; Teenage Mutant Ninja Turtles; Mighty Morphin Power Rangers; The Tick; X-Men; The Six Billion Dollar Man; The Bionic Woman; The Increible Hulk; Knight Rider; Max Headroom; The Terminator; Robocop; Robocop - The Series; Quantum Leap; Escape from New York; The Road Warrior; Mortal Kombat. Volumes 1 and 3 parallel the approach of Silva Screen's own cult TV/film collection (2 volumes: 2 discs in each). Silva re-recorded their material whereas in general Edel (who seem to be connected with satellite Sci-Fi Channel) have used original soundtracks. Vol. 1 has only 4 tracks and Vol. 3 only one track comprising re-recorded material and in each case the performance is a good aural approximation of the original. This brings bonuses and drawbacks. The main drawback of the Edel approach is the occasionally 'stressed' sound quality. This is largely an advantage in capturing the original experience. While the tracks sound very good, one disappointed. Buck Rogers in the 25th Century (vol. 1 ) sounded as if it had been recorded with a microphone held against a TV loudspeaker playing a rather worn video cassette. Advantages include a great feeling of authenticity and the original experience comes flooding back in a wave of nostalgia. The music featured is overwhelmingly from US TV and films but Vol. 3 has three tracks from British products including Doctor Who. Volume 1 has Paul Sawtell's fine sea-spattered title music for Voyage to the Bottom of the Sea. John Williams' Lost in Space music (1967 version) is superbly characterful inventively catching the lightness of the show. Fireball XL5 by Barry Gray is wince-making now but the show did date from 35 years ago. 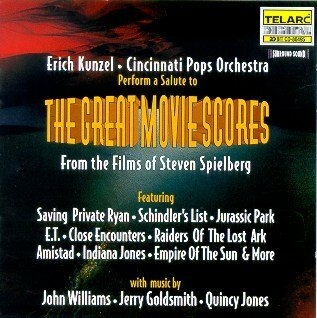 Film music predominates with plenty of John Williams and a good selection from the commercial cinema sci-fi of the 1980s and 1990s. Vol. 3 is notable for sizeable chunks from the original CBS broadcast of Orson Welles' invasion spoof The War of the Worlds. Along the way you also get music from CE3K (where would we be without John Williams? ), Herrmann (just one sizeable track The Day the Earth Stood Still) and again a decent spread of music from the commercial cinema of recent years. All credit to Edel for getting the necessary permissions to issue so much original material. Edel seem to be linked with the satellite Sci-Fi Channel and this may well have given them the necessary 'clout' to agree licences and waivers. The notes (English only) for all four volumes are by Tim Brooks, clearly one of the leading authorities on prime-time TV show, are concerned rather with the shows than the music. As a nostalgia 'fix' these collections of music-bytes (often quite brief) are handsome. Those new to sci-fi will also find this material a fine introduction. Film music fans will already have much of the music (and they are frankly not an essential addition to the music collectors shelves) but to hear so many tracks from the originals and in very decent sound is quite an experience. The packaging is gaudy but don't let that put you off if you are in the market for some time travelling of your own. Everyone will fin something enjoyable here. You will also find the abysmal rubbing shoulders with the best. For me the depths of the trash heap are represented by Attack of the Killer Tomatoes and Killer Klowns from Outer Space. Now excuse me while I listen again to John Williams' 1967 theme from Lost in Space. The Dark Skies collection which is Volume 2 is as variable as the rest. But stand-out tracks for me were: the two by Jerry Goldsmith  his demonic choral and orchestral piece, Ave Santini, from The Omen and the End Title and the poignant little girl, Caro Annes theme from Poltergeist; Danny Elfmans clownish figures from Beetlejuice; and his OTT ghoulish theme for Tales from the Crypt; and Elfmans Main Title music from his classic score for Edward Scissorhands ; Dario Argento and Goblin in the Satan-like Suspira; Gounods Funeral March of a Marionette as used in Alfred Hitchcock Presents; Gil Melles whistler theme for Kolchak: The Night Stalker; plus the tango-orientated music of Piazzolla for 12 Monkeys. I have to admit to a sneaking admiration for some of the older TV themes in Vol 4  Defenders of Justice. Many of the early TV series themes are here with their unsophisticated vocals. In those days themes for such series as Astro Boy, Underdog (theres no need to fear Underdog is here! ), and Atom Ant (hes rough and tough and bad guys yell enough when hes up and at em Atom Ant!) made one cringe with embarrassment but now they tend to be bathed in some fond nostalgic glow  a case of distance certainly lending enchantment to the view. Tim Corbett, Space Cadet is a grand Sousa pastiche. All the best Batman, Superman themes are included together with the music for the more weird fantasies such as The Amazing Spider-Man, Wonder Woman and the Six Million Dollar Man. I will not be visiting some tracks again like The Tick, those mutant turtles or the Power Rangers but all in all this is a wonderful indulgence. Just a glance at the list of songs and artists above is enough to make the mouth water. These are, of course, classics and treasured memories for so many film fans so they are above criticism. Highlights for me must be all the Fred Astaire and Judy Garland songs plus "The Hostess with the Mostess" and "You're Just in Love" belted out by the great Ethel Merman and the Marilyn Monroe number. 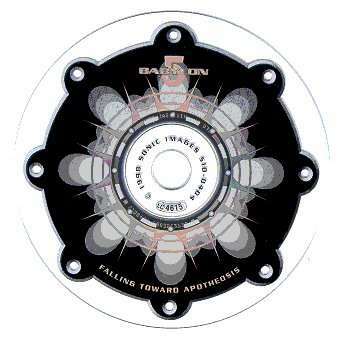 Some tracks are making their first CD appearance and many are in stereo for the first time. Many of the outtakes must be the most interesting items in this collection. As usual the Rhino documentation is very impressive - a 24 page booklet crammed with interesting notes and lots of pictures. This album is, strictly speaking, outside our purview but the material is so exhilarating that we just had to include a short review of it. 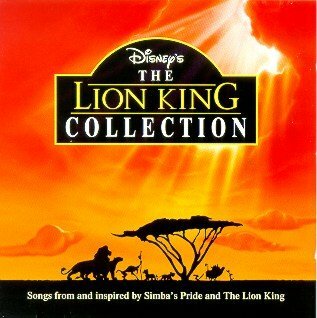 The original film, The Lion King, was, of course, one of Disneys biggest successes and perhaps Simbas Pride will be equally successful. The albums music is a comfortable mix of ethnic African and Western Pop styles together with songs with the original cast from the films. Both Tina Turner and Elton John relish their material but it is The South African Choirs sheer joy of singing that makes this album so attractive. Ideal for cheering up a long car journey. More and more, I come to admire whats being written on the Continent for film. There really is a whole other world of music out there to explore, and Hollywood would like to think its got it licked but as composers like Piovani show there are always new ways to skin a cat. 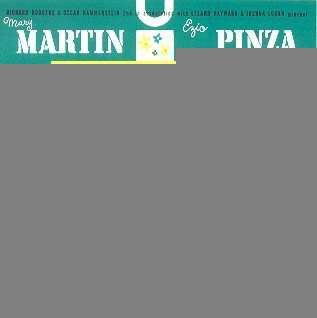 Franco-Italian style oozes out of every Olive Oil infused pore of this album. You would have absolutely no trouble in identifying this as for either European cinema market. The point though is just how gloriously melodic it all is, and as a collection makes for a wonderful hours entertainment. Much of the style looks ahead to the score he will now undoubtedly be associated with - La Vita E Bella (Life Is Beautiful). Coincidentally the first cue is the most reminiscent, with its accordion, guitar, and presumably a real cimbalom. "Polombella Rossa" is followed by an equally lovely tune in "Le mamme ci asciugavano I capelli". These are capped by a sombre combination in "Il sol dellavvenir" to complete a memorable triplet from the film Palombella Rossa. Nine more scores are subsequently represented. Id like to mention the use of voice in some definite highlights. "Mon beau voyage" from Fiorile has an almost Russian male chorus singing in French without accompaniment. It works beautifully followed by the solo fiddle of "La memoria di Jean", and preceded by the rock and roll of "Rock mediceo". The male chorus for "In nome del popolo sovrano" (from the film of the same name) is used very differently to a militaristic tempo, with snares and brassy fanfares. Down a generation to a boys choir for "Domani accadrà", and across the tracks for the lovely breathy vocals of Angela Pagano for O Re. Theres an orchestra of guitars to admire in Speriamo Che Sia Femmina, electric guitar and bongos in I Cammelli, a dark string waltz in Il Sole Anche Di Notte, and bittersweet guitar and piano combination that ends the disc in Caro Diario. You really need to hear what else is out there, and here it is in digestible chunks. Enjoy. For anyone making the immediate Brian DePalma connection and little else, this is an essential listen. Like the Piovani collection, this is a nice cross range of stylistic moods and a terrific promo ! There are 6 films represented, and a 73 minute running time allows generous opportunity to showcase them. Il Carniere is a broad beginning. 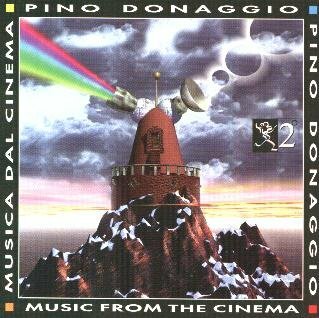 The titular cue mournfully merges strings with guitar, while "La radura dei palchi" surprises in contrast by pan pipes and a wailing female voice. Theyre followed by a relentless hurtling string passage in "Fucili pronti", a variety of ethnic instruments in "Alba Slovena", and a sweet harmonica backing strings for the gentle finale to the suite. All this in just the one score too. There are several cues for electronics elsewhere on the album. If Im honest I have to admit they sound dated. Sometimes that endears you even more; theyll sound quaint perhaps. To my ear theres something about keyboard sounds from the 70s and 80s that often sounds very chintzy - and not in a good way. Its time to note that the packaging of these two releases is rather different. The covers are striking if a little abstract, but the booklets leave a little to be desired. Weve come across the empty pages before, but the pain in these cases are that soloists go uncredited. In the case of the female voice in "La Comunione" from La Monaca Di Monza thats an absolute crime. The operatics of this suite, complete with church organ are quite extraordinary. The final score is Squillo which presents the most dramatic change in styles of one cue Ive heard in a while. "Polands Fields" starts with a jig for piano and fiddle, then suddenly bursts into a synth drum beat with guitars and keyboards. The melody is continued, but its quite a shock. Thankfully it all ends with "Love, passion, and death" which soothes the shock away with a lovely saxophone line. Its not as easy a listen as the Piovani collection, but still as much of an education. 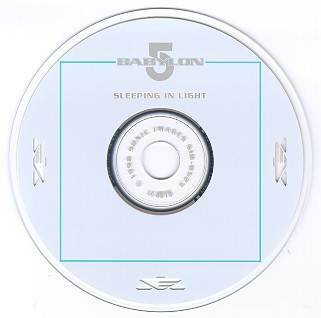 These four releases are part of a larger set of episodic cd's composed and produced by Christopher Franke as the soundtracks for individual episodes of the Science Fiction television series Babylon 5. The genre of television science fiction drama is uniquely exemplified in Babylon 5 and it's use of state of the art digital effects and graphics sets it apart from the more traditional sci-fi soaps like Star Trek and its spin-offs. The series has always been visually stunning and the extensive use of computer generated images has helped move it to cult status. Babylon 5 is set in a far future where a gigantic space station holds the last hope of mankind and extra-terrestrial races co-existing in peace. Each episode of the series is a self contained story with thematic continuity through each season. Key to the series retaining its fans is the highly creative evolution of the characters and story lines. In keeping with the unique visual impact of the programme, the soundtrack adds the dramatic counterpoint exactly where it should be. Emphasis and musical alliteration abound in a way that must be described as Babylonian, each scene is interlaced with familiar musical threads and a lot of surprises. The composer and producer of the work, Christopher Franke, is now in the fourth season of writing for the series and finds the evolution of the story lines an inspiration that keeps the work fresh and interesting. He writes and performs most of his soundtracks solo with his Berlin Symphonic Film Orchestra. By adopting state of the art technology, composing and keyboard work takes place in Los Angeles, while the orchestra is conducted in Germany. Perhaps his use and grasp of digital technology on this planet and in this time provides a link to the future and its barely imaginable possibilities. The use of the orchestra is blended with synthesised sounds so seamlessly that it requires careful listening to distinguish synthesised sounds from real ones. The low bass of a bowed cello and warm, lush strings meld wonderfully with sparkling synthesised sounds that speak of crystals and brightness. A full sonic palette greets the ear and although the music can be edgy and pensive at times, there much reflective and softer imagery to experience. The Babylon 5 main theme is repeated with variations that keep it alive and powerful timpanic drum parts set against moving synth bass lines drive the listener forward with a sense of anticipation and determination. The use of a military style snare drum with what sounded like plucked cello and electric bass gave echoes of Mars from the ubiquitous planet suite and kept the imagery changing from moment to moment. At times a Moorish influence could be heard and this gave an eastern presence than contrasted well with a later use of harp sounds in a more conventional tonality. Some of the themes are reminiscent of a film score for a block- buster western, others for a marching marine band. Occasionally a sound like a hammer hitting an anvil was employed and this is only one example that demonstrates the composer's wide inventiveness and creativity within the sounds employed. The tracks play out in the order they were aired and most of time this works with no great jarring contrasts. The cd's do sound similar to each other and one would have to live with them for a while before easily identify pieces from cd to cd. Overall the compositions are worthy of merit, the quality of the recordings being up to projecting the wider frequencies employed by the synthesised high end and low basses. If you have a sub-woofer on your hi-fi system, be careful of the transient bass and low drum sounds that will have your teeth rattling but are really exciting and powerful. For someone who is a Babylon 5 fan, or has watched the TV series then it is very easy to relate to the music in this collection. To take the music in isolation from the imagery it was written for makes it more of a challenge for the listener but possibly more rewarding. Bax was asked to write the music for David Leans Oliver Twist. One of the most memorable themes from that score was that for Mr Brownlow. Here it is treated with that extra passion and deeper conviction appropriate to Pearse and those who died in the reprisals following the ill-fated Easter uprising in Dublin in 1916. In Memoriam commemorates Pearse and how splendid it sounds in this spine-tingling performance by Vernon Handley and the BBC Philharmonic. Bax was clearly greatly moved when writing this music it conveys all the anguish he felt at learning about all the suffering in his beloved. Ireland. In Memoriam is part-elegy, part-funeral march, and partly a furious remonstration against a cruelly suppressed bid for Irish independence. Marching rhythms with insistent side drum and bugle calls contrast with music that suggests Irish Elysian Fields fit for heroes. A wonderful musical experience. This would have been ideal source music for Michael Collins - or for any drama dealing with The Troubles. 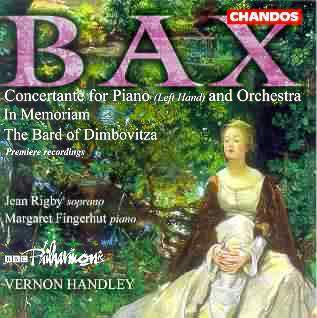 Baxs music is vivid and colourful and highly romantic and dramatic, ideal as screenplay source material. Victor Herberts music including his well-known and rousing March of the Toys graced the 1934 Laurel and Hardy classic Babes in Toyland which was greeted by Variety thus: "It is amusing enough to entertain older persons who remember when they were young." 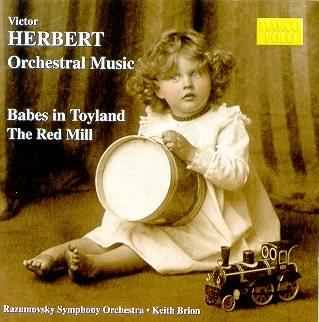 The original stage production of Babes in Toyland was written, in 1904, towards the end of Herberts tenure as conductor of the Pittsburgh Symphony Orchestra. The title Babes in Toyland might infer that its music is twee or fey. It isnt. It is full of period charm and contains many delightful numbers: waltzes, gavottes and marches that combine the best of both French and Viennese operettas. Played here for the first time is the 15 minute Prelude that had to be dropped from performances because of its magnitude. The music is witty and dramatic in that it includes sinister and darker elements in its portrayal of the childrens wicked Uncle Barnaby and the storm at sea and shipwreck. (The latter material has some subtle melodramatic/pantomime overtones appropriate to the spirit of the production). The Red Mill (the name of an inn which appears to have some ghostly associations) is a more modern score and one can see that Herbert is moving the genre forward by introducing a lot of syncopation into his music. 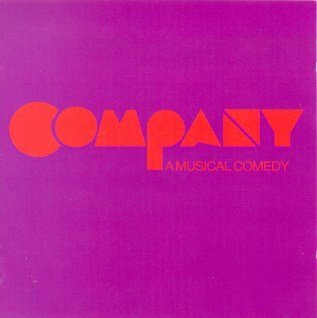 Songs of Love and Laughter by Irving Berlin; George Gershwin; Marve Fisher; Cole Porter; Kurt Weill, Jerome Kern; Noel Coward; Stephen Sondheim; and Flanders and Swann. 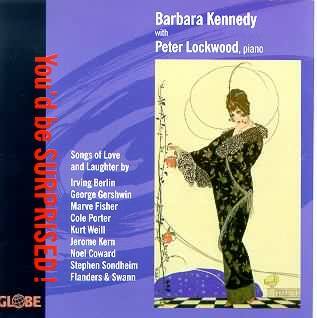 This is a delicious treat of often naughty songs sung with great sly, coy wit by Barbara Kennedy, an experienced opera and operetta singer. How seductively she sings, "
I love to run my fingers over the keys" and "
" in the opening number - Irving Berlins I love a piano. Then she complains in Cole Porters The Physician that  "
but he never said he loved me!" 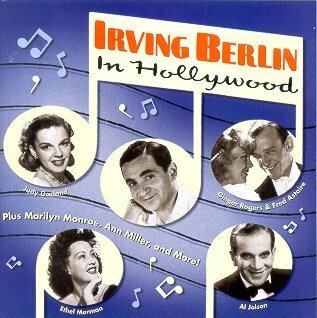 Returning to Irving Berlin we have the title song, Youd Be Surprised in which we learn that although Johnny is bashful "
George and Ira Gershwins My Cousin in Milwaukee had boy friends by the dozen and "
" Jerome Kern is represented by his sentimental, Bill. Two numbers from Cole Porters Kiss Me Kate are included: So in Love sung and played with heavy irony and I hate Men - "
In our democracy I hate the most the athlete with his manner bold and brassy, he may have hairs upon his chest, but, sisters, so has Lassie!" Porters My Heart Belongs To Daddy has Kennedy getting her comfortable priorities right. Flanders and Swanns A Word in My Ear ("
Im lauded, applauded, recorded but they seem to have missed that Im Tone Death") is a brilliantly funny take-off of musical mannerisms. Noel Coward says We must all be very kind to Auntie Jessie for she has never been a mother or a wife. Stephen Sondheim is represented by two numbers. Losing My Mind is a song about loneliness and unrequited love sung by Kennedy with understated yet affecting poignancy. I Never Do Anything Twice is another comic pearl - "
once, yes, once is delicious; but twice would be vicious or merely repetitious." 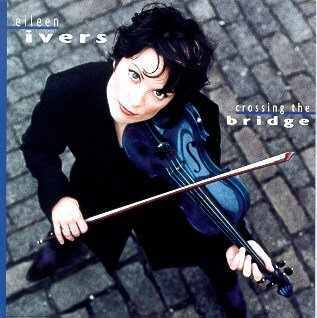 This album will appeal to all those who love Gaelic music, Riverdance, and the fashion set by so many James Horner scores; (in fact Ivers plays Nearer My God to Thee which was featured in Titanic as a solo on this album).
" and "Im Gonna Wash that Man Right Outa My Hair" while the sailors agreed that "
nothing else is built the same, has a soft and wavy frame like the silhouette of a dame" in their song "There is Nothin Like A Dame". The refurbished sound is very good, the documentation thorough with plenty of pictures and there are some bonus tracks: two songs "Loneliness of the Evening" and "My Girl Back Home" both sung by Mary Martin and a reprise of Bali Hai sung by Ezio Pinza and orchestrator Richard Rodney Bennetts Symphonic Scenario for Concert Orchestra played by André Kostelanetz and the Philadelphia Orchestra "Pops." Sophisticated and urbane, Company ran in New York for 690 performances. It was a hit and it wasnt. Star Dean Jones, featured on this recording, was cast as the hapless Robert. Jones was loved by the critics, but he remained in the cast for only the first few performances. The plot is non-existent. It is just a collection of scenes centring around Robert, a bachelor who cannot quite bring himself to commit to marriage. Amongst his friends are a number of married couples. Many of the numbers, which are rhythmically arresting with wonderful, memorable sardonically witty lyrics, are about relationships  mostly failed ones. All Roberts friends are keen to introduce him to an ideal girl: the wives want to see him happily settled down but bemoan their own married state; while the husbands, jealous of his independence, want to see him shackled too ("Have I got a Girl for You"). Heard amongst the brilliant cast are the unmistakable and wittily strident tones of Elaine Stritch. (The Little Things You Do Together). This CD is warmly recommended. Ah! Sweet Mystery of Life; When I Grow Too Old to Dream; Dusty Road; Through the Years; Smilin Through; At Dawning; Trees; Thy Beaming Eyes; The Hills of Home; Sylvia; Señorita; Who Are We To Say; Kashmiri Song; Ride, Cossack, Ride; Stout-Hearted Men; Wanting You; Dear Little Café; Tokay; I Married an Angel; Strange Music; Without a Song; Oh, What A Beautiful Mornin; Nearer and Dearer; Love is the Time; In the Still of the Night. 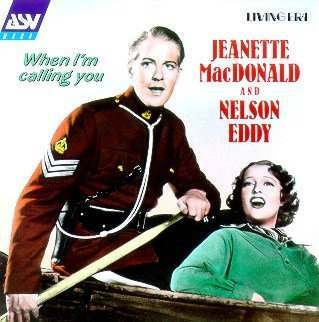 I have to confess to a nostalgic affection for the singing of Jeanette MacDonald and Nelson Eddy. Rose Marie was the first film I ever saw - in the company of my parents when I was about five. (I hasten to add that I saw it during one of its frequent re-releases in the early 1940s!) Eddy and MacDonald were rudely known in some quarters as The Singing Capon and the Iron Butterfly but this does the very popular duo that made eight films together, most of which swelled MGMs coffers, a grave injustice. Jeanette MacDonald (1903- 1965), with that lovely shock of red hair (only seen in her later colour films), and big toothy smile, had a silvery light lyric soprano voice which was very much of its era. Her style of delivery, timbre and pitch is dated now. Before she teamed with Eddy she had appeared in a number of successful Hollywood musicals for Paramount directed by the great Arthur Lubitsch and Mamoulian opposite Maurice Chevalier. In the When Im Calling You album (released in 1994), there are two songs from this era: "March of the Grenadiers" (The Love Parade) and "Beyond the Blue Horizon" (Monte Carlo). Nelson Eddy (1901-1967) arrived in Hollywood in the wake of a very successful career on commercial radio. He had also sung art songs and had appeared in opera including works by Richard Strauss and Berg. Writing about him in the new Through the Years CD just released, Peter Dempsey says: "
without celluloid, his rating would have been less universal for, while certainly stylish, virile and appealing and a self-critical artist, in voice and range Nelson was no Richard Bonelli, no John Charles Thomas nor (more particularly) a Lawrence Tibbett, the long-resident star of the New York Met who had preceded him as a baritone screen-idol. That he early realised certain limitations in no way diminishes his achievement. Rather, it is to his credit for, despite the uniform volume and restricted top register, the fixed "forward", slightly nasal production and comfortably predictable colour, the melodious, forthright, manly sincerity of Eddys ballad-singing can never be underrated. The first 1994 album includes the immortal duet the Indian Love Call (When Im Calling You) from Rose Marie plus MacDonald and Eddy singing together in "Ah Sweet Mystery of Life" from Naughty Marietta and "Will You Remember" from Maytime. The 22 numbers that comprise this first album also include many popular MacDonald solos including: "Dear When I met You", "One Kiss" from The New Moon and Vilja from The Merry Widow. Eddy thrills with his renderings of "Rose Marie", "At the Balalaika" from Balalaika, and "Lover, Come Back to Me" from The New Moon etc. 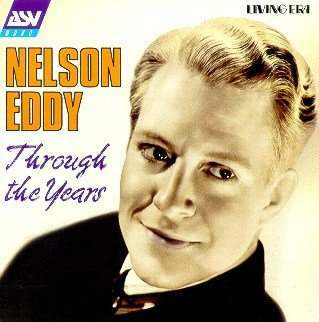 The new album comprises 25 Nelson Eddy solos ranging from the stirring "Ride Cossack, Ride", "Stout-Hearted Men" from The New Moon and "Tokay" from "Bitter Sweet" to the romantic "Smilin Through" and "Wanting You" from The New Moon, and Cole Porters "In the Still of the Night." One or two art songs are included including Amy Woodforde-Findons, Kashmiri Love Song and songs from shows in which Eddy did not appear including "Oh What a Beautiful Morning" from Oklahoma. Bartók deeply identified with the indigenous folk-music of Hungary and its influence can be heard in many of his works - not just the actual tunes or rhythms but, as he said in 1927, 'I place great emphasis on the work of technical arrangement .... I do not like to repeat an idea without change and I do not bring back one single part in exactly the same way. This method arises out of my tendency to vary and transform the theme ... the extremes of variation, which are so characteristic of our folk-music are at the same time the expression of my own nature' (Ujfalussy: Bela Bartók quoted in McCabe Bartók Orchestral Music, BBC publications 1974). Hungarian folk song was virtually unknown to the middle classes in which Bartók grew up, apart from the use made of them by Liszt and Brahms. However, in 1904 Bartók became interested having heard his neighbour's maid singing The red apple has fallen in the mud. He was so taken by the song that he composed his own version of it and arranged for the original to be published too. He then set out with a portable phonograph to collect thousands of the folk songs of his native Hungary. In this he was assisted by Kodaly. At almost exactly the same time, Holst and Vaughan Williams were doing the same for British Folk song. There have been various revivals of interest in folk music with the advent of the tape rercoder , cine and video and the general popular youth interest in folk music in the 1960s and 70s. The members of the performing group Muszikás were among them, and went out into the villages of Hungary to learn the instrumental techniques. 'We found ourselves fascinated by the beauty and richness of folk art - and this experience changed our lives'. With the growth of the Dance House Movement Muszikás found themselves being invited to play around the world. Having performed at a Bartók festival in New York, where Bartók's music was well known but the folk music was a new encounter, the group decided to make this record. 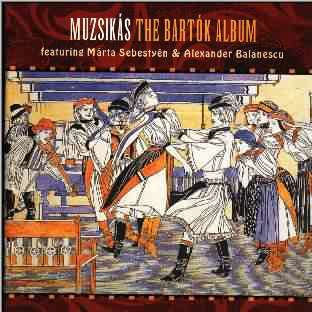 On this disc we have three things: some of the original field recordings made by Bartók, reinterpretations of these by Muszikás retaining the folk presentation and finally examples of Bartók's own music that incorporated the folk tunes he collected. This is a great idea and it works very well. The disc opens with a whirling csárdás of increasing speed - Dunántúli friss csáardások (Transdanubian fast csárdás) . Muszikás learned this from a band in Bogyisla and it contains four melodies which Bartók would have known well, the last of which he incorporated into his Hungarian Peasant songs for Piano op 20. This gets the disc off to a wonderful, rustic start. Don't be shuddering so sorely. Shepherd's flute song played by Zoltán Juhász on a very breathy long flute which gives it almost a didjeridu flavour. Things liven again with Magyarbece csárdás with Márta Sebestyén's nasal singing. This old-style melody came from Southern Transylvania which Bartók used in the fourth of his 15 Hungarian Peasant Songs. This is followed by an ordinary flute but played in a similar style to the long flute, a sound produced by both blowing and singing into the instrument, in this instance accompanied by the sound of dancing. Violin, viola and bass play a whistful Bota Dance which is a male stick dance from Upper Marosvidék in Tranyslvania used in Bartók's Rhapsody for violin and Piano. The mode of playing the viola and bass is to give the effect of violin with accordian accompaniment. In 1912 Bartók was inspired by a melody from Petrovasile in Torontál to write the 44 Violin Duos. We hear Muszikás play the Torontál Dance - a slow csárdás - and the original (rather warbling) phonograph recording leads to a performance of the 44th duo 'Transylvanian Dance' with Muszikás rounding off with Lad's Dance from the Fuzes which has a similar halting rhythm. Another lamenting graveyard song follows: 'The Churchyard gate is finally open' . This type of melody is known as dawn song. The mood lightens with a vocal Kalotaszeg dances - Bartók frequently wore waistcoats from the Kalotaszeg region where he found that virtually every village had its own string band. And the tears spilled from my eyes. I have found this sensitively assembled recording illuminating, instructive and vastly entertaining. My enjoyment has been enhanced by the extraordinarily detailed, 24-page booklet (English only) compiled by Muszikás - clearly a labour of love and without which I could not have written this review. Now how about that follow-up demonstrating Vaughan Williams and Holst's use of indigenous folksong? Mario Lanza died, at the tragically early age of thirty-eight, on Wednesday 7th October 1959. He had been hospitalised in Rome with phlebitis. A substantial piece of clot had broken away and lodged in his pulmonary artery. The death was listed as a heart attack. Several days later his body was flown home to America first to his home city of Philadelphia and then to Los Angeles. His death was mourned by countless fans around the globe. Truly one of the greatest tenors of the century, his achievements are venerated by the Three Tenors: Pavarotti, Domingo and Carreras who have all praised his influence on their careers. Yet Lanza was a controversial figure and Bessette does not shrink from sketching in the dark side of his turbulent life. Born in South Philadelphia of Italian parentage, he was undisciplined and self-indulgent, spoilt from the start by a doting mother. He learnt by emulation, listening over and over to gramophone records of opera stars; he never learnt to sight read. But the voice was prodigious enough, in tone, strength and range, to impress the notoriously demanding conductor Koussevitzky at the beginning of his career. 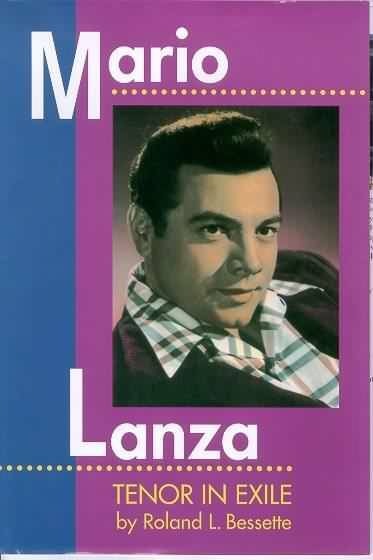 The book tells of Lanza's meteoric rise to stardom first in concert, then through radio, and recordings for RCA, through to films. His record royalties approached $1 million per year. His career in Hollywood peaked early with his third film The Great Caruso which turned out to be MGM's biggest money-maker for 1951 and one of its most profitable films of all time. Yet his rude, crude, boorish behaviour on-set antagonised too many people: he would get into fights, curse and shout at technicians, insult his leading ladies, and urinate anywhere that was handy including, on one occasion, a lagoon that had to be refreshed, etc. Property owners came to regret Lanza as a tenant because of his wrecking sprees. Ultimately all Hollywood studios were loathe to hire him and he was obliged to move to Italy where his last two films were made (he made only eight films). He was self indulgent in terms of food (his figure ballooned alarmingly and he was endlessly working out and dieting), alcohol and women. Bette Lanza, his wife, unable to cope with his seductions of countless women, the competition from his domineering mother and the pressures of a successful Hollywood career, sought solace in drink and drugs and continually berated Mario instead of supporting him. Lanza was basically insecure and subject to fits of intense depression and paranoia which, coupled with weight and drink problems, caused him to cancel many engagements and to funk appearances including a lucrative and crucial engagement at Las Vegas. All this behaviour Bessette puts down to the clinical condition, manic depression. One wonders what further miracles of singing might have been achieved not only in the films (Lanza had a flair for comedy), records and in concert but also in opera had the talent been studied, directed, and disciplined but then the raw energy, sensuality and spontaneity might have been sacrificed? A compulsive, yet often harrowing read, the book includes a selected bibliography, a compact disc discography and a filmography. 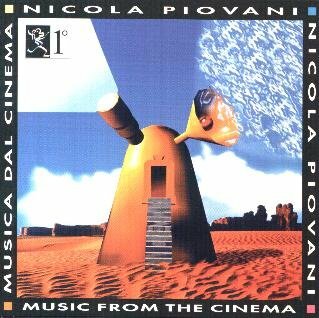 © Film Music on the Web 1998. All rights retained. Reviewers retain copyright on their reviews. Discs on these pages are offered for sale. There is also a page of search engines from a selection of on-line retailers here. Please support this web-site by buying your discs here. Disclaimer: Every effort is made to make sales links to the correct disc but, in the end, you must take responsibility for checking that what you are purchasing is what you want. Some of these discs were not actually available for sale at the time of posting but a link has been made in anticipation of their forthcoming availablility.